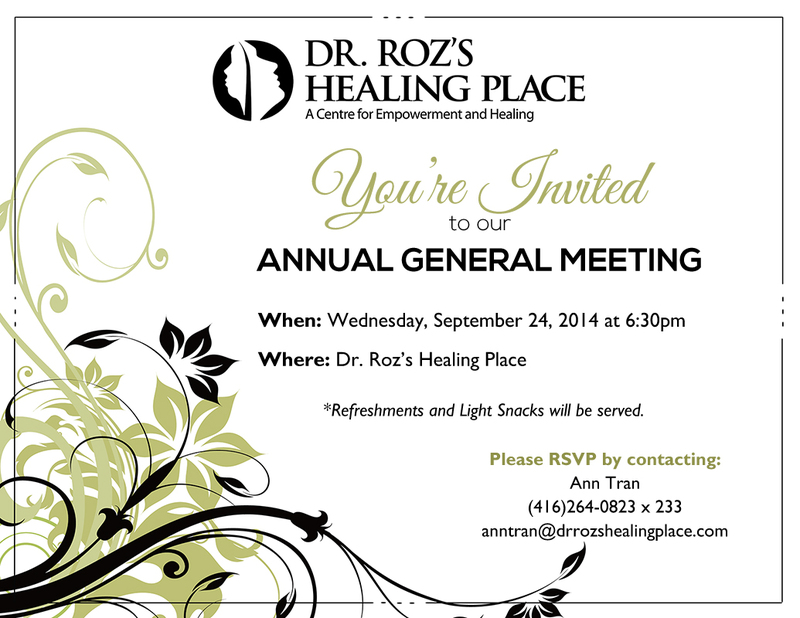 You are cordially invited to our 2014 Annual General Meeting that will be taking place on Wednesday, September 24th at 6:30pm at Dr. Roz’s Healing Place. 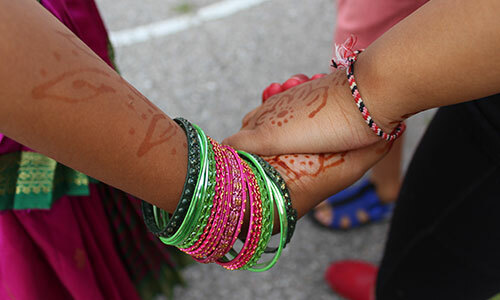 The purpose of our Annual General Meeting is to share updates about Programs, Services and Events that have taken place over the fiscal year. It is also a special opportunity for staff, Board Members, Community Members, and volunteers to network with one another. At your convenience, please RSVP regarding the status of your attendance. We hope that each and every one of you will be able to attend and please feel free to share this with your friends.